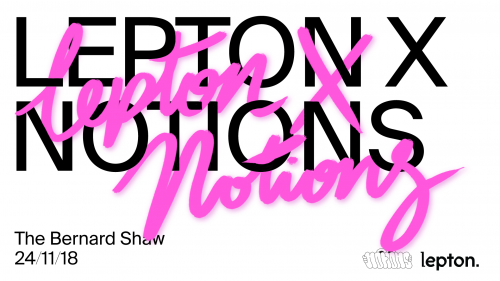 If you’re a Shaw regular you’re bound to know of Lepton – the monthly session for Electro lovers here on Richmond Street South. Although it’s a fairly new night, Lepton brings some of Dublin’s best up and coming selectors to the decks – always guaranteeing that beer garden buzz we all know and love. We’ve been dying to know what’s hidden away on their USB’s, so we’ve asked for their favourite tunes of the moment to get us in the mood for the weekend. Check their picks for the weekend below. Catch Lepton in The Shaw this Saturday with the lads from Notions from 6pm along with YULEARD @ Eatyard on it’s opening weekend.